Hopkins has grown over the years to be mild-mannered sometimes and at other times a funny, but an overcofident individual. He can be very opinionated at times. Loves soaking up the spotlight but knows how to share the wealth of it when needed. Hopkins really carries that small-bodied build. One you'd think is fragile but far, far from it. Not much of a big 'booty' muscular physique but well-toned with good body definition. There's some noticeable scars that are on his left leg but those will never be seen with the leg accessories he sports. Tattoos, many of those. - "Kandi" - A caligraphy-scripted tattoo of his girlfriend's name that is vertical on his right side. - "Stephanie" - A more bolded, Times New Roman-esque tattoo of his Mother's name that is the opposite side of his girlfriend's name. The left side, vertical as well. - "Brooklyn Lyfe" - Is another text-based tattoo albeit the Statue of Liberty featured. This is around his belly button. - Praying hands - This isn't a big drawn-out design. Simple but seen. Resides on his right shoulder blade. There are others but rarely seen. There are a couple of small ones on his right leg but again, rarely is it seen. A couple he had previously, he got them taken off. “A Dying Breed” - Both hands up but fingers form that of the “OK” sign with both hands crossing each over and involving the forefinger and thumb. “Hyped” Stomps - When he’s about to take flight to deliver the “OMFG!”, pretty much getting the crowd hyped. Once an unknown, now a young standout in the industry, thanks to his ability to soak up knowledge like a sponge, it has allowed Jair Hopkins to become one of the many bright stars in Action Packed Wrestling. 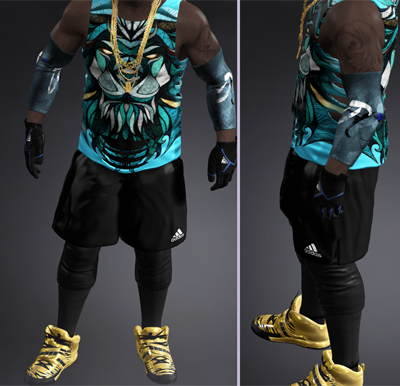 Hailing from Brooklyn, New York, Jair is apart of the new movement within APW, “The Dying Breed”. 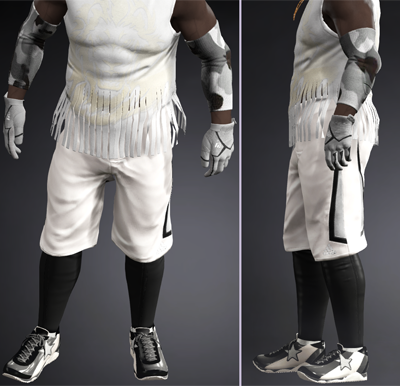 Standing by the man who helped with the decision of bringing Jair into APW and stands as a good friend, damn near like a ‘brother’, Anthony Bailey, he is also alongside another man who he considers like family in “The Smooth One” William D. Williams, the three are out to become an unstoppable force. Born on the third-tier show, “Meltdown”, Jair started making waves with his work ethic and ability to learn quickly from the game. His movement, his old school/new school maneuvers have earned him some spotlight. Always humble, calm but in the ring, it’s all about business. The coolest dude on the planet but can be your worst enemy if you choose to ‘test’ him. Out of “Golden Boy Studios” wrestling school in Upper Manhattan, that is owned by his mentor, the one who saw huge, huge potential in him, Juan Ramirez, Jair is a graduate of his camp. With all these great minds around him and with each day that passes, all the knowledge he gains, it will certainly show in the progression as he continues through his career. Signed with 4CW in April of 2014. Jumping onto the stage as he came out, cupping his ears to the crowd as he used his other hand to get the fans to raise the noise up even further. Going to the other side of the stage, he did the same as he got them to get a bit more louder for him. Hopping his way back to the stage, he did a quick spin as his back was showing, pointing alas like Randy Moss, to the name on his ‘jersey’, Hopkins rushed down the ramp before sliding into the ring and popping up. POWERS: "HAILING from Brooklyn, New York but residing in Los Angeles, California...Standing in at five feet and eight inches, weighing in at two hundred and eleven pounds...Two time 4CW Champion...JAAIIRRRRR HOPPKKINNNNNSSSSSS!!!!" Celebrating with a lap around the ring and a hand up as he blessed the faithful fans with a kiss before folding his hands in the form of a prayer to which he then went to his corner to gather himself for battle. Arena lights go out as that voice is heard over the PA. The suspenseful start to what sounds like a panicky, off-beat heartbeat is heard before the slow introduction to “Everybody Stay Calm” by RTJ comes into play. Red and white shuffling of the lights flicker, giving that of some sort of dark suspense. Loud blast of a pyro occur leading to the rising of white smoke that fills the entrance area. Soon, a body emerges to and through the smoke as it is Hopkins, his hands up high, holding the championship with a wide grin on his face. He pauses his steps as he slightly grooves to the beat. Glaring down the ramp, he places the title on his shoulder as he trot down the ramp to the ring to which he slides in the ring and immediately takes to climbing the ropes. POWERS: "HAILING from Brooklyn, New York but residing in Los Angeles, California...Standing in at five feet and eleven inches, weighing in at two hundred and eleven pounds...The ________ Champion...JAAIIRRRRR HOPPKKINNNNNSSSSSS!!!!" Holding the title high to the crowd as they cheer for him, he drops down and gives it one last look-over before handing it to the referee. Loosening his muscles, he flexes in the corner as his music dies out.